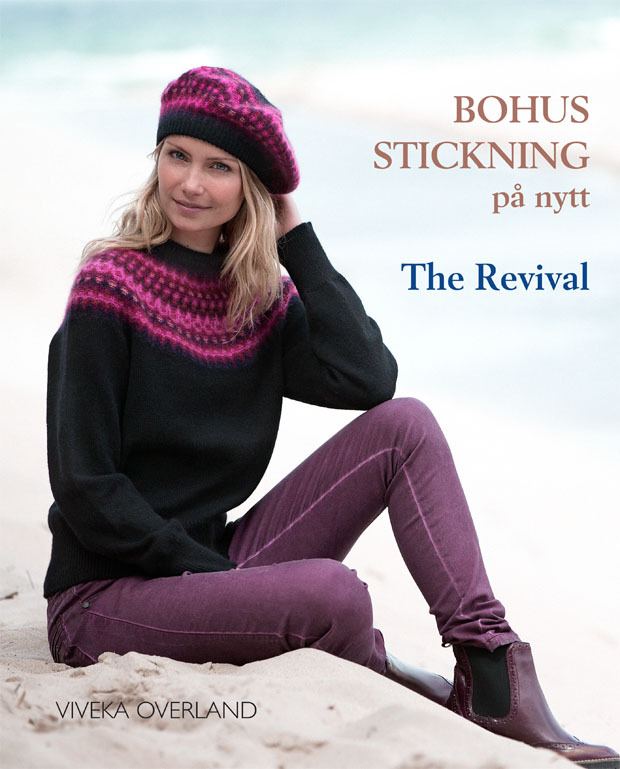 New book about Bohus Knitting. The book is in Swedish and English and well illustrated. It also includes knitting patterns for garments in 14 different patterns. The story of Bohus Stickning is one of creative joy and beauty. What began as relief work developed into an enterprise of superior quality craft products with an international reputation. It all started in Gothenburg during a period of high unemployment in the County of Bohuslän. The woman who led the company to success was Emma Jacobsson, the wife of the County Governor, who helped supply local women with home knitting commissions between 1939 and 1969. 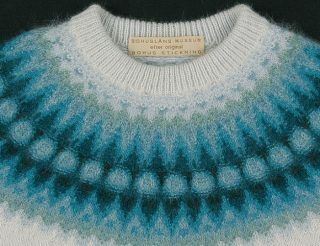 In the late 1990s, Bohusläns museum produced a collection of Bohus Stickning garments in collaboration with textile designer Solveig Gustafsson for a retrospective exhibition. 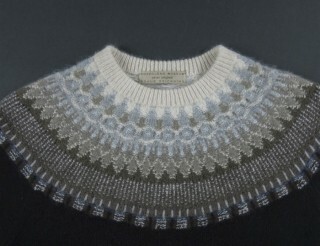 Over the next fifteen years, Solveig Gustafsson continued to recreate some seventy Bohus Stickning patterns. The story of Bohus Stickning is well documented. We can now present updated information after consulting the archives of Gothenburg University Library. A new addition is a presentation of Solveig’s dedicated work including a complete list of patterns and garments in reproduction. Readers are introduced to Solveig’s successor, Pernille Silfverberg, who will continue to assemble knitting kits and supply Angora yarn from her own rabbits. Garments from the museum collection are described and knitting patterns for fourteen different designs are included. Viveka Overland, born in 1953, has a Bachelor of Arts in cultural science. With a past in conservation and information, she has been Head of Publishing and Editor of the Bohuslän Heritage Society’s and the Museum’s joint yearbook since 1992. Viveka Overland became interested in Bohus Stickning when she was head of the Museum shop. 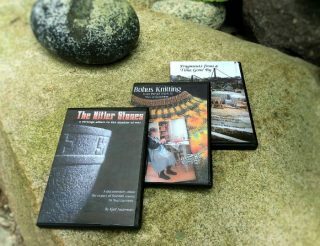 Her dedication to Bohus Stickning has resulted in a new line of Bohus Stickning products, articles and public talks that have attracted a major interest from the media and the general public.